Excitement builds as Cheltenham host their second meeting of the campaign, with the BetVictor Gold Cup, the showpiece event. Three exciting days in the Cotswolds, will see a host of talented horses compete at the home of Jump racing. It’s a meeting I love, and in my humble opinion, a venue that’s second to none. There’s a ‘buzz’ about Cheltenham like no other course I know. Thankfully, the rain arrived at Gloucestershire, and with it the hope that all major contenders at the meeting will take to the start. On Friday, several talented novice chasers are set to line up in the Steel Plate And Sections Novices’ Chase, a race won in the past by More Of That, Dynaste, Denman and Imperial Commander. The illustrious roll of honour speaks volumes, and another class act is likely to prevail this time around. Barters Hill, Rock The Kasbah and Champers On Ice are all possible starters. The former was always expected to make a better chaser than hurdler. Ben Pauling’s stable star has apparently been schooling well, with both trainer and his jockey David Bass ‘delighted’ with his progress. Champers On Ice finished one place ahead of him in the Albert Bartlett back in March. Every bit as much a chaser in waiting, David Pipe’s powerful looking son of Robin Des Champs tends to go from the front. Yet another grey, he perhaps lacks the gears of Pipe’s previous winners, Dynaste and Grands Crus. Nevertheless, he’s a classy sort, and ought to make an exciting chaser. Rock The Kasbah has already made his chasing debut, when winning at Chepstow last month. Hobbs’ six-year-old is owned by the Whateley’s, and was impressive on his first attempt at the larger obstacles. Connections came close in this race with Fingal Bay in 2012, and had both Garde La Victoire and Sausalito Sunrise win at this meeting last term. The aforementioned World Hurdle winner, More Of That may well ‘rock-up’ in the BetVictor Gold Cup on Saturday. With Jonjo ‘desperate to run him’, and stating that he is in ‘great shape’, the rain may well have assured his involvement. He will face tough opposition in the form of an exciting young chaser from Team Ditcheat. Four-year-old Frodon took the Rising Stars at Wincanton last week, and is one of four intended runners for in-form Paul Nicholls. On Sunday, last year’s Supreme winner, Altior, is set to launch his career over fences. 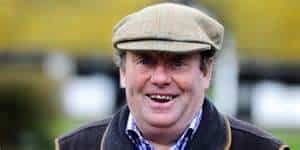 Nicky Henderson’s six-year-old proved unstoppable as a novice hurdler and is already a short price for the Arkle in March. His chasing debut has been eagerly anticipated, and Cheltenham’s undulations will ensure he has a thorough examination. Later in the day there is the prospect of another Seven Barrows star returning to action, with Simonsig set to line-up in the Schloer Chase. Henderson will be hoping for a trouble-free campaign from his injury prone grey. A class act on his day, his victory in the Arkle of 2013 seems a lifetime ago. He’s likely to be facing Fox Norton. Neil Mulholland’s young chaser was mightily impressive at the course in October, though this is a much tougher assignment. Kerry Lee also hinted that her Game Spirit winner, Top Gamble, may well take up this option. He finished last season with a stunning win at Fairyhouse, proving that the Newbury success was no fluke. An exciting and informative three days is assured.